In order to cater to the variegated requirements of our clients, we are engaged in offering Static Cycle Exerciser (Junior). 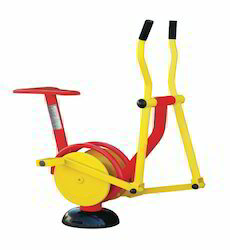 These cycles are ideal for the children 8 to 14 years age group. The offered cycles are designed using strong tubular steel frame stands and rubber tipped legs. 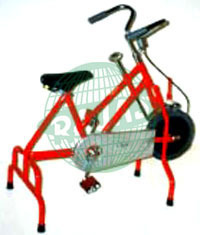 We are engaged in providing a range of high quality exercise cycle to our clients. Being an exclusive exercising machine, these products are designed with precision and equipped with latest technology offering a best solution to our clients. stationary cycle. indoor cycle. for exercise. long lasting and durable. cost. 3800 only. door step delivery. courier and packing charges extra. home delivery all over India. minimum order quantity is 1 PC. Being one of the reputed organizations in the market, we are engaged in providing an exclusive range of Fitness Cycle.